Use these 43 Key Performance Indicators (KPIs) – from labor profit to project backlog – to check if your custom installation business is on track… or off-track. Key tips like knowing your customer acquisition cost can lead to stronger business performance in the future. Do you know your company's daily, weekly or monthly profitability? Can you see trouble spots or opportunities long before they are upon you? Which product category or brand of equipment is your most profitable line? Those are just some questions integrators might have about their business, whether they use sophisticated business management software or old-style “shoebox” accounting methods to track their progress. But which business metrics are the most valuable ones to track? 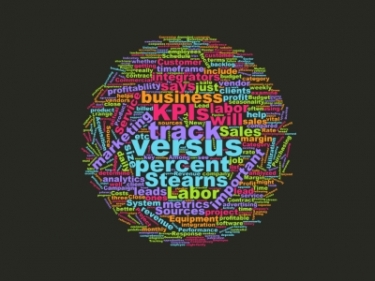 At the recent Azione Unlimited spring conference, Randy Stearns, CEO of D-Tools, offered up a comprehensive list of Key Performance Indicators (KPIs) for integrators to examine on a daily, monthly, quarterly or annual basis. Here is a sampling of some vital KPIs to track. Which ones are you using? Percentage from Equipment versus Labor – “50/50 is ideal, but most integrators will derive about 35 percent of their revenues from labor,” says Stearns. Seasonality: Winter versus Spring versus Summer versus Fall – This will help you determine if there is a seasonality to your income stream. Labor – “If you are making 50 percent profit on your labor, you are doing OK,” comments Stearns. Market Sector / Project Type – Commercial versus residential, MDU versus single-family, etc. Project Backlog – There is no guideline for what constitutes a good project backlog, it really is dependent on past history, the size of your company, and seasonality. “Tracking your project backlog helps you determine whether you need to be hiring or firing. You must look well beyond the current month when running your business,” says Stearns. Revenue Per Full-Time Employee – “If you are under $175,000 in revenue per employee, you might just be getting by because you have higher profit on your labor. It really depends on your local labor market and your labor costs,” says Stearns. New Customer Acquisition Costs – How much does it cost you to get a new client versus upgrade an existing client? This should be analyzed. Attachment Rate – What percent of projects will have a service agreement or monitoring contract attached to it? 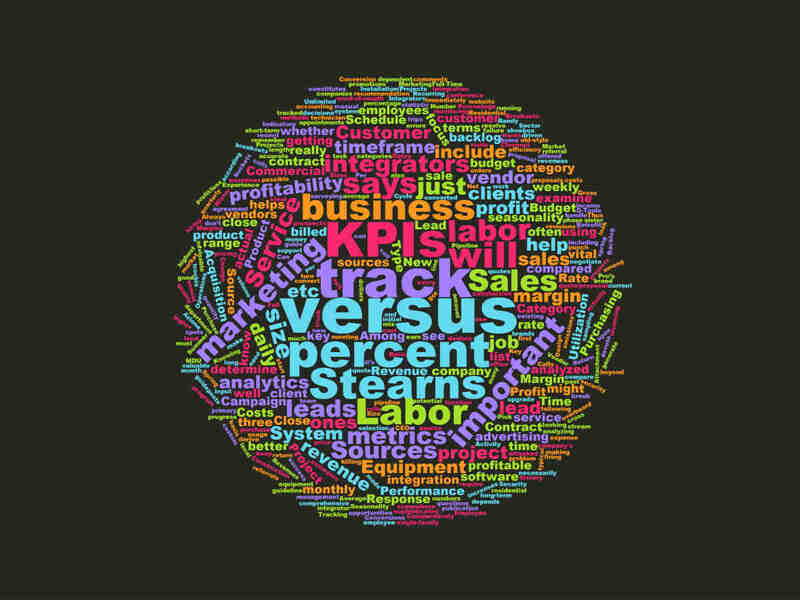 “All of these KPIs require some manual input… the software will not just spit these numbers out,” warns Stearns.